Abstract art conveys a sense of unstructured movement and emotion. 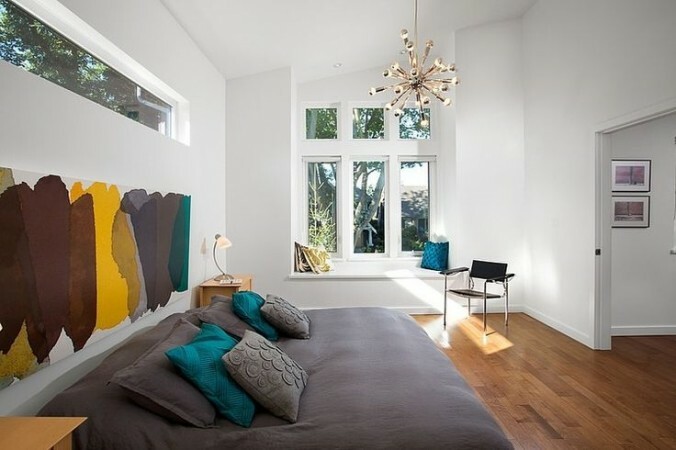 It can open up creative thinking and make you look at things from a different perspective. 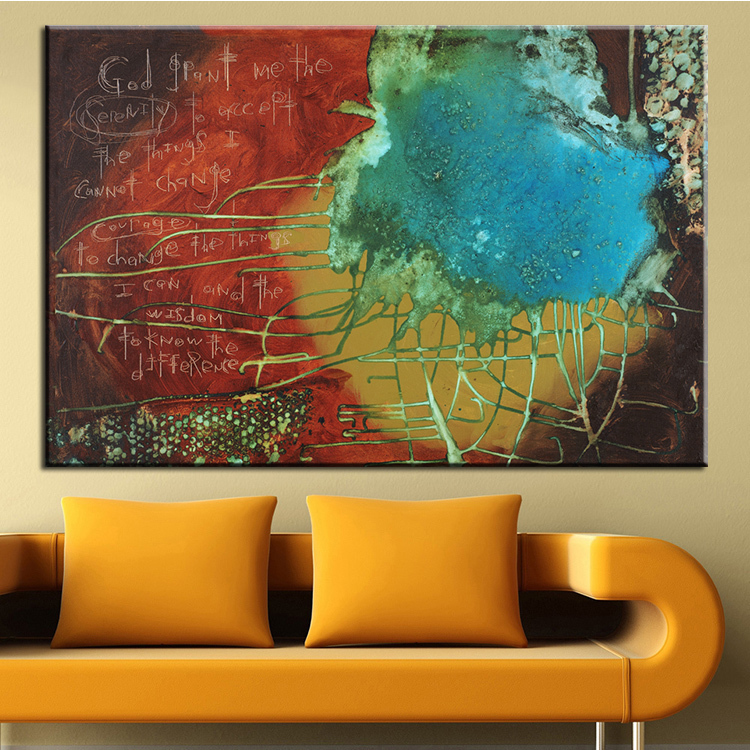 The beauty of abstract art is its completely subjective appeal; how it conveys a different emotion to every individual. 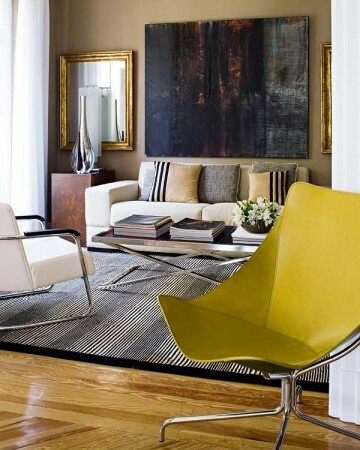 In the home, abstract art is color, shape, texture and dimension. 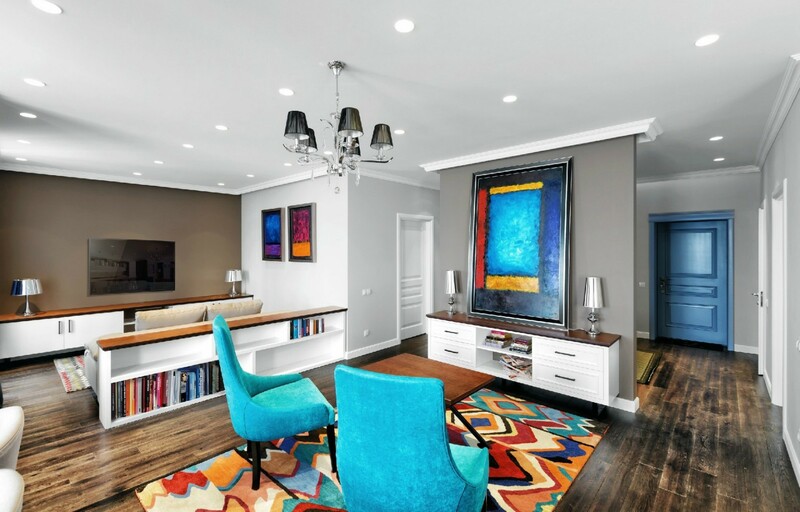 It is a way to express your individuality or a jumping off point for a room design. 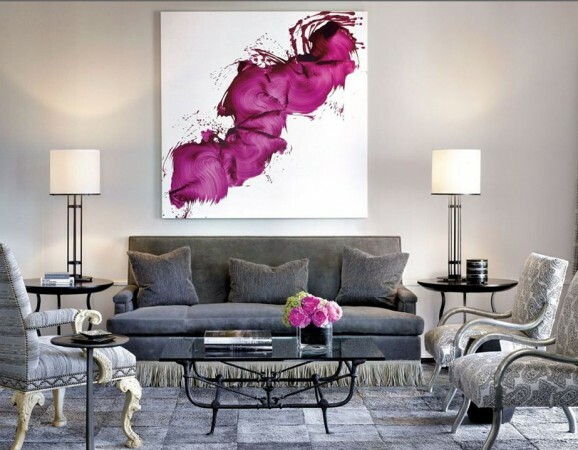 Using abstract art in your home is about infusing a little something different into the space and making a statement. 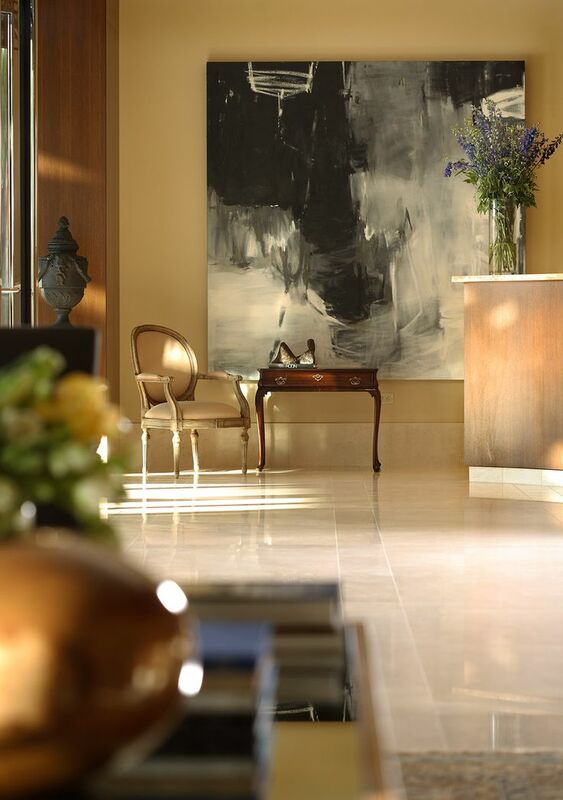 An abstract painting captures your attention, especially when it is in contrast to the environment. 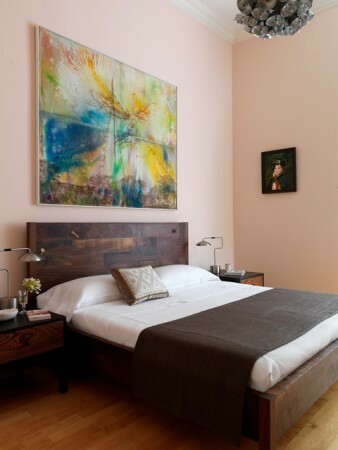 For example, an abstract painting is unexpected in a traditionally designed room. 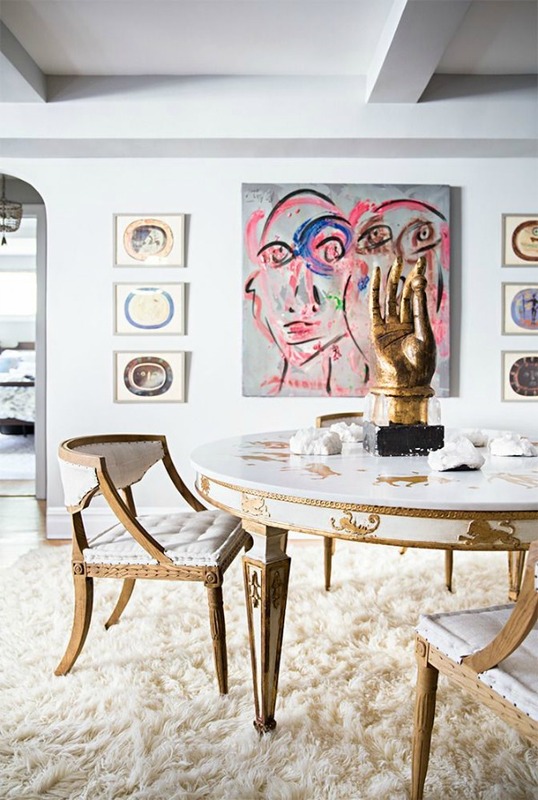 When surrounded by Louis XVI furniture, an abstract painting becomes a focal point. A minimalist room comes alive with abstract art. 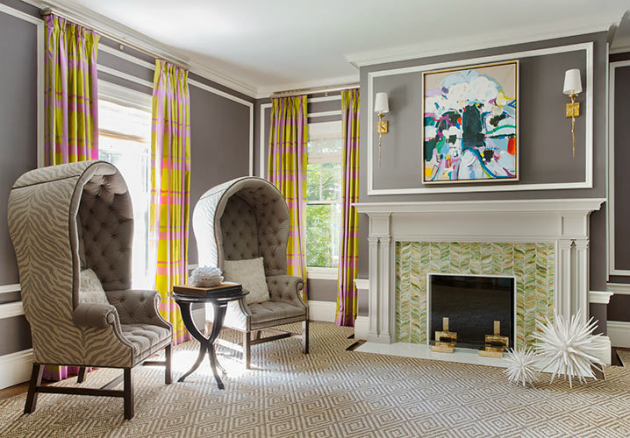 Taking color cues from the painting balances the space. 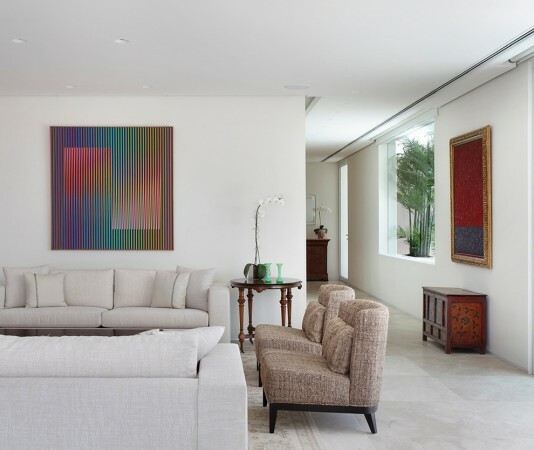 Abstract art stands out in a home and draws you to the space, wanting to examine it closer. 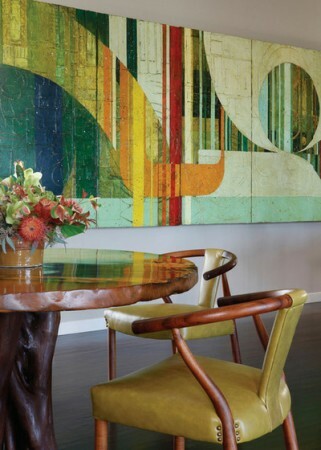 Use abstract art to create flow from room to room. The lines and shapes of abstract art complement those throughout the room. 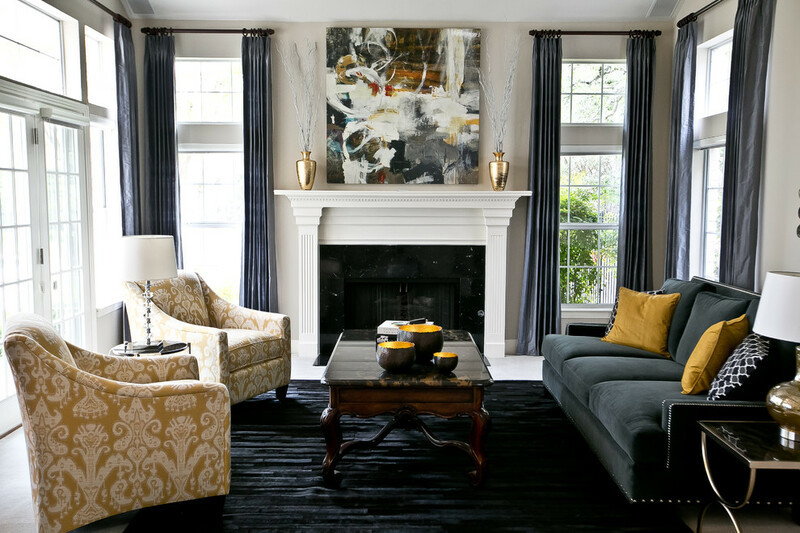 You can choose the artwork first and design the room around it or find a painting that complements the space you’ve already designed. 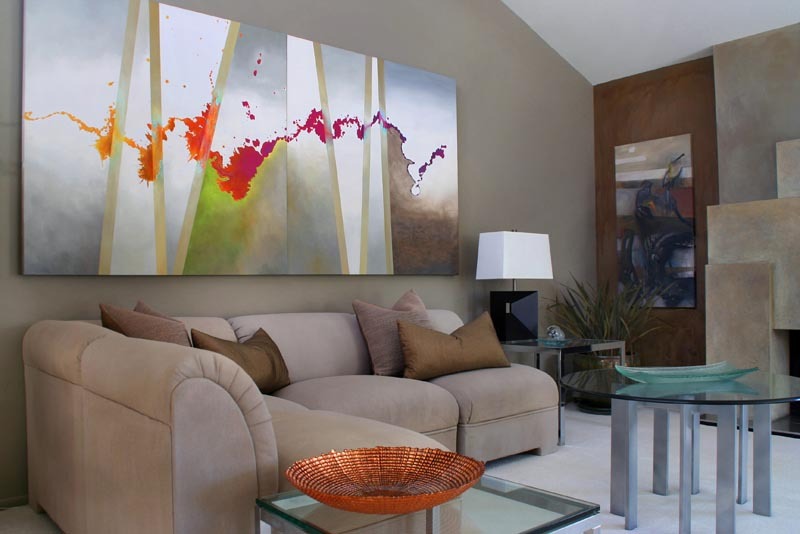 Ambiguous shapes and flowing colors in abstract art create a soft play of color and form in a room. 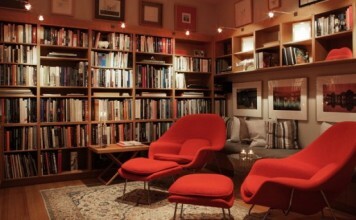 This can be very soothing in some spaces. 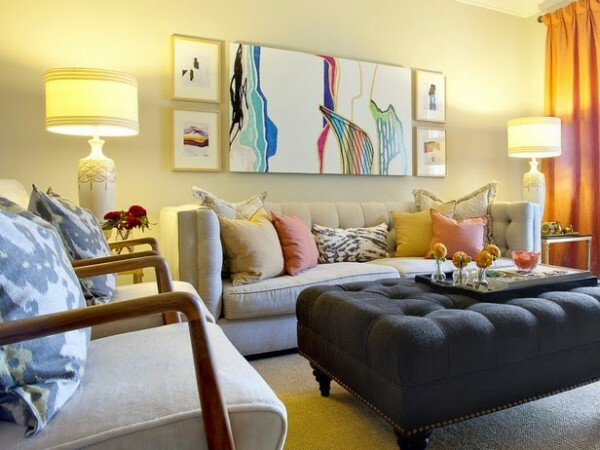 An abstract print can add a touch of softness and contrast to a room with strong geometric patterns. Eclectic room designs are a welcome home to abstract art, as it blends into the mixture of styles. 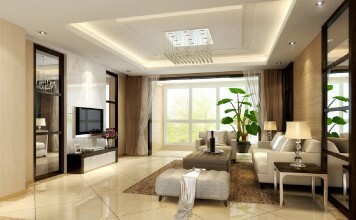 Subtle black and white abstract art is appealing in a modern room design. Abstract art can elicit emotion and make a bold statement. White walls are the perfect background for abstract art, allowing the colors and shapes to be the focus. 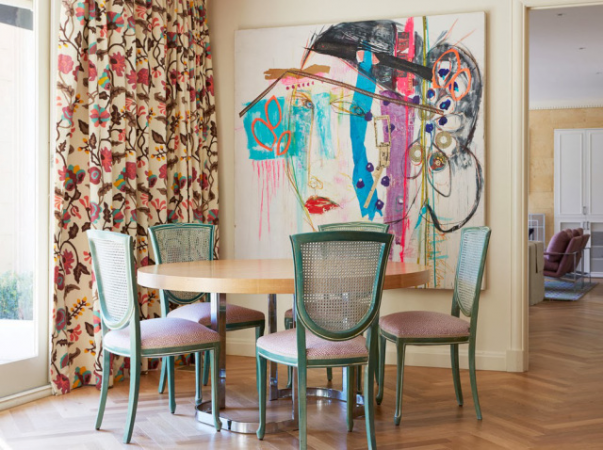 The colors within certain abstract art pieces can inspire a room’s color palette. Abstract art can serve as a sharp contrast in a room of more traditional aesthetics. A bold abstract art piece can enliven a space and become a focal point. Abstract art can bring a room together, providing cohesion and balance. 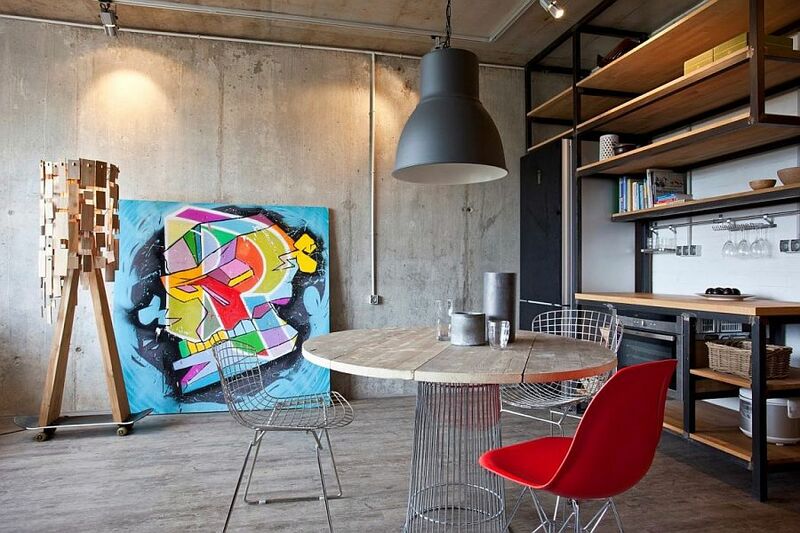 In an industrial interior, abstract art brings color and vibrancy to the space. A touch of abstract color brightens a monochromatic room scheme. 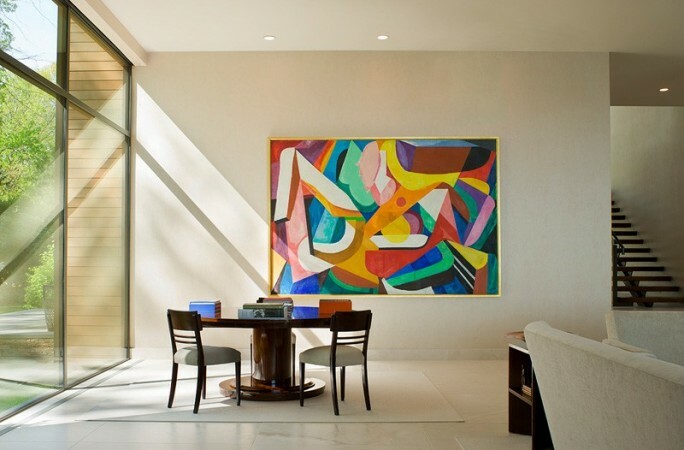 The lines and shapes within an abstract painting can inspire the same in an interior. 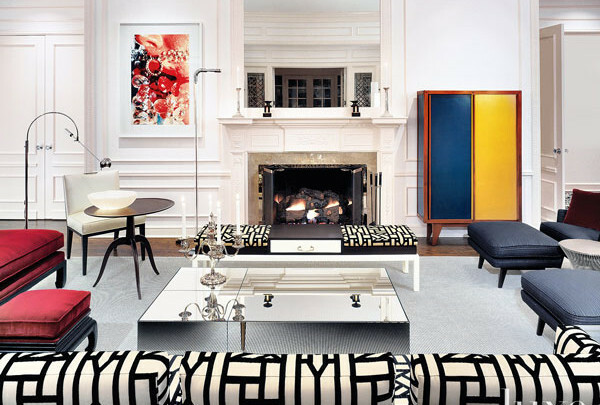 Furniture pieces that mirror the art create rhythm in a room design. 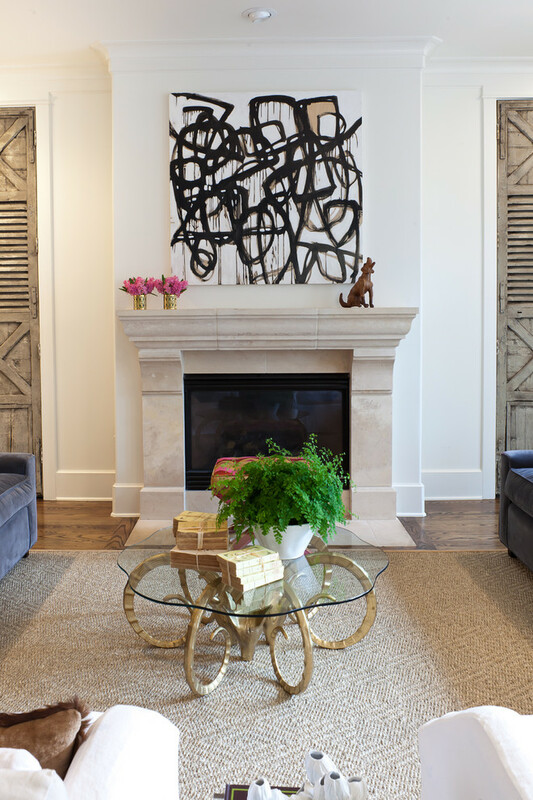 Abstract art can change the perspective of a traditional room setting and add pattern to the space. 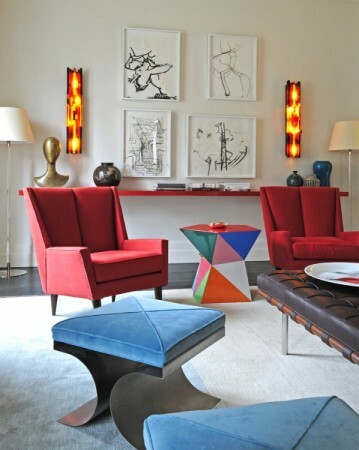 Abstract art adds a touch of whimsy to very stylized interiors and can spark creative thinking. 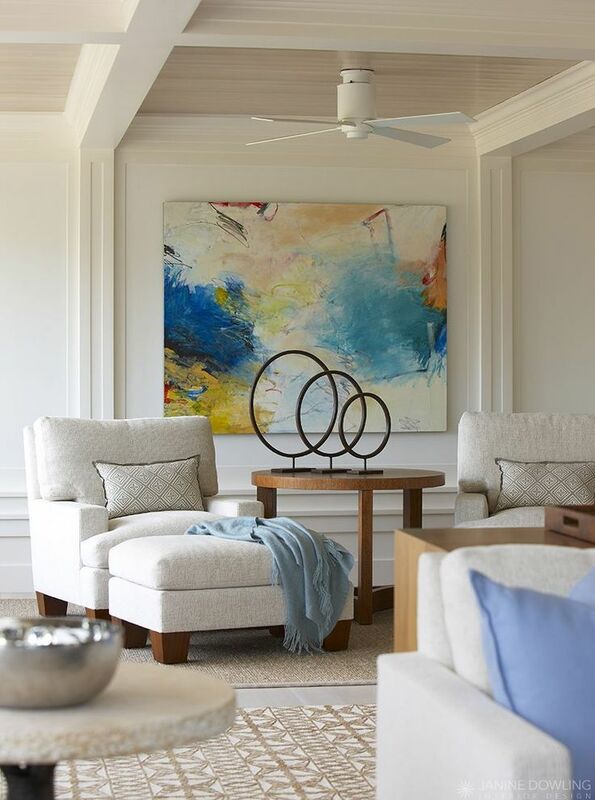 Abstract art is a feature that brings life and a burst of creative fusion to a room, providing inspiration for room design. In interior design, abstract art forces a new and fresh perspective. 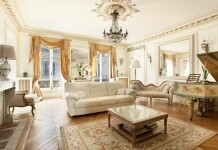 It elicits emotion and creative thought. 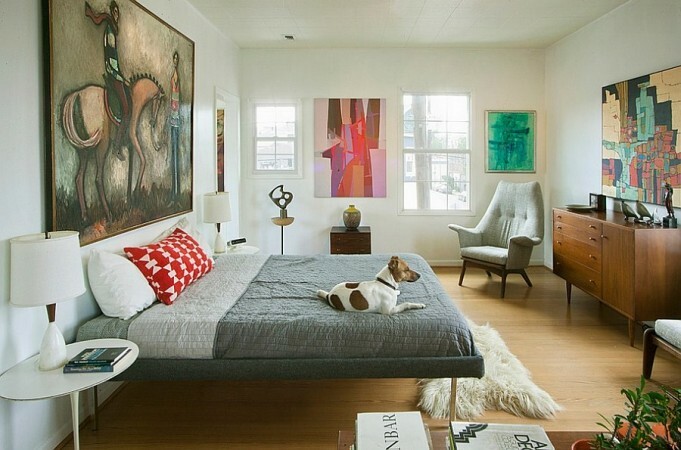 Using abstract art in your home can inspire and give you a bold new look.